Two More Minutes by the Haschak Sisters is Josh’s Next Big Thing this week! Every week, Josh picks a brand new tune to be his ‘Next Big Thing‘. It’s always a song that gets him dancing around the studio, one that he thinks you’ll love, and one that will be big! This week he’s gone for Two More Minutes by the Haschak Sisters! 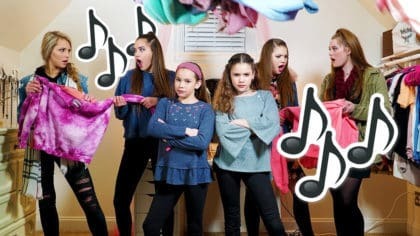 The Haschack Sisters are a family of dancers and singers! They are Madison (17), Gracie (15), Sierra (13) and Olivia (12) and they have over 4 million subscribers on YouTube! Two More Minutes is their new song about getting ready to go out. You can hear Two More Minutes every night this week, just after 7:30pm!